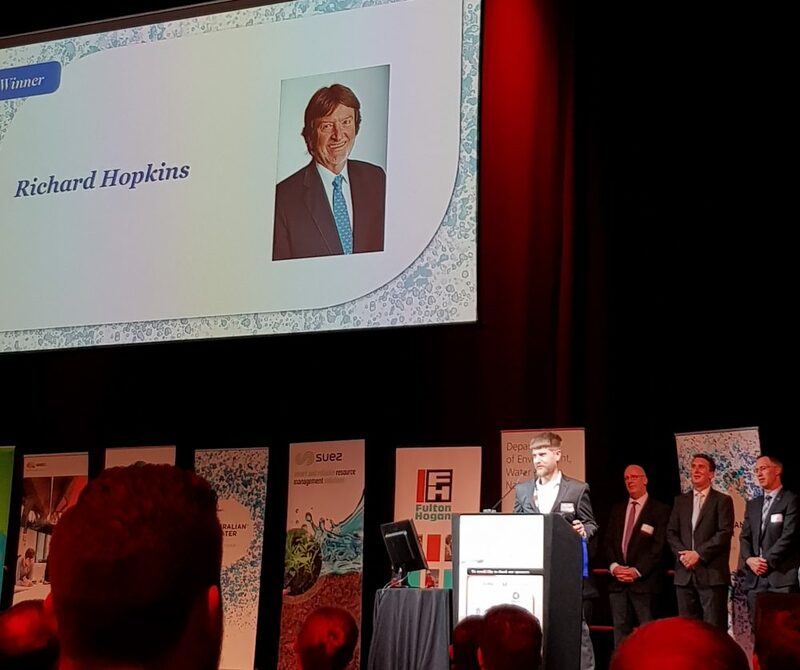 This year the Premier’s Water Medal for Water Professional of the Year, was awarded to Richard Hopkins (accepted by son Robert), former Chief Executive, International Centre of Excellence in Water Resources Management (ICE WaRM). “ICE WaRM congratulates Richard in winning this prestigious award which highlights the outstanding work he has accomplished in Australia and internationally,” said Darryl Day, ICE WaRM’s Managing Director. Richard has had a 40-year career in water management and is recognised as an international expert in his field, having worked in more than 20 countries. In recent years, his leadership has led to the recognition of ICE WaRM as the premier water training centre in Australia, which has been a critical factor in establishing South Australia’s reputation as a world leader in water resources management. Through his leadership, strong links have been developed between ICE WaRM, the Water Industry Alliance, Goyder Institute for Water Research, SA Water and the three main South Australian Universities, ensuring a concerted and consistent promotion of the water resources management ex pertise in the State. 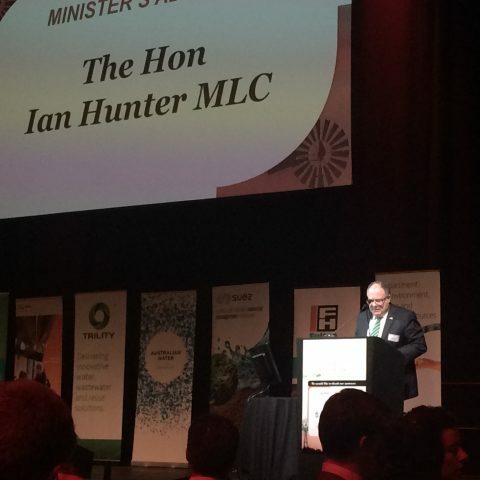 South Australian Water Minister, Ian Hunter, and a record number of guests and finalists attended this year’s Water Awards in Adelaide. Australian Water Association Chief Executive, Jonathan McKeown, said that this year saw a range of award submissions from a number of water utilities, universities, research institutes and councils, with projects ranging from urban and regional utilities infrastructure, to agricultural enterprises and public health studies. “This is testament to the great work being carried out across all areas of the water sector in South Australia,” he said. Click here to read the full list of winners and their projects.